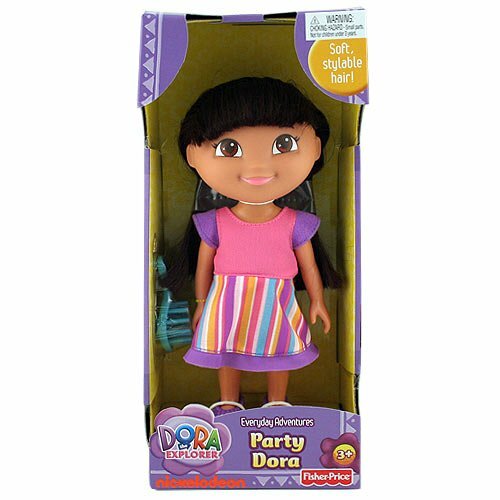 Fisher Price Dora the Explorer Everyday Adventure Doll - Party brings every kid's favorite character home for play. Age: 3 years and up FeaturesComes getting a brush Kids can brush Dora's unique hair to support her get ready for anything. 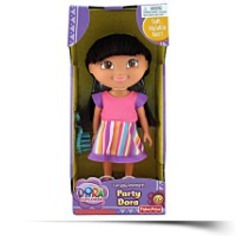 Dimensions: Height: 3" Length: 8.5" Depth: 5"
Package Dim. : Height: 3.54" Length: 11.02" Depth: 5.04"